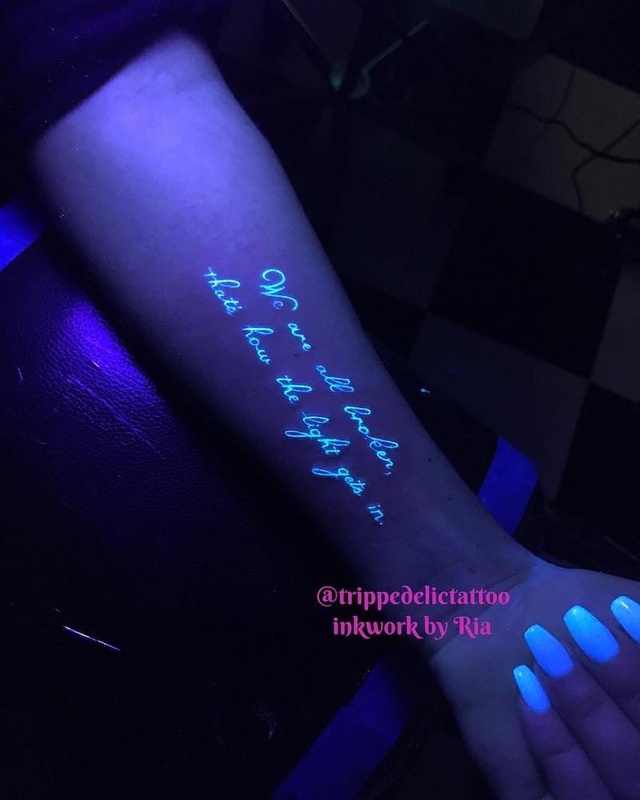 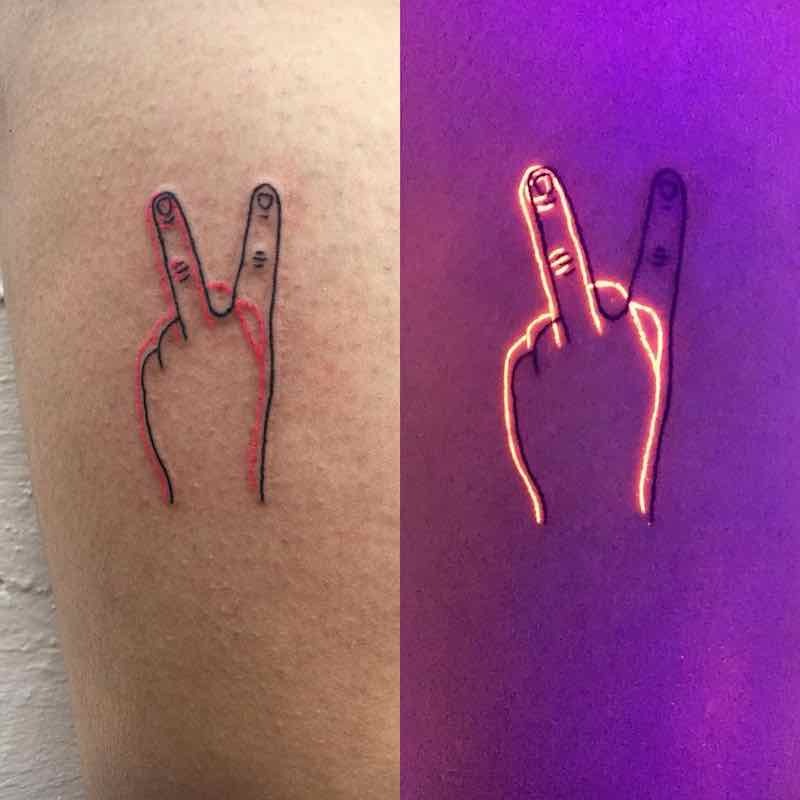 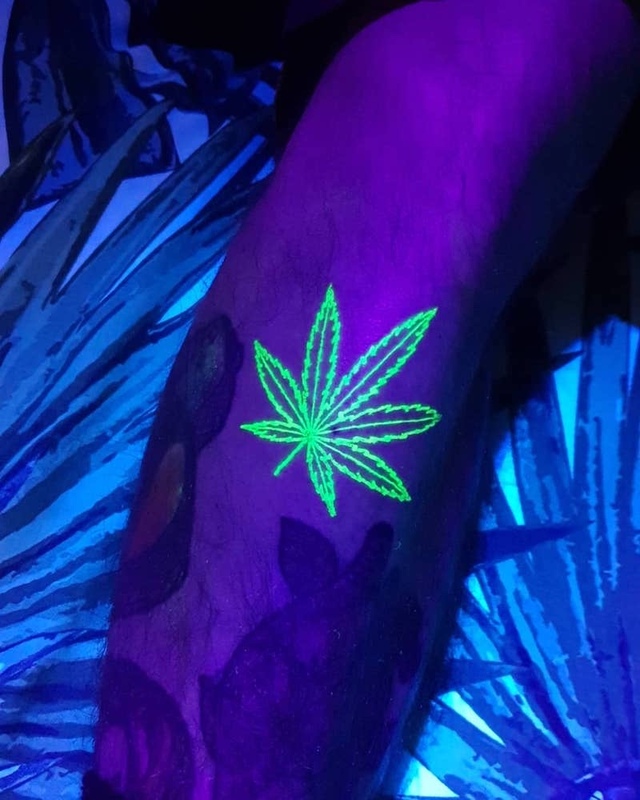 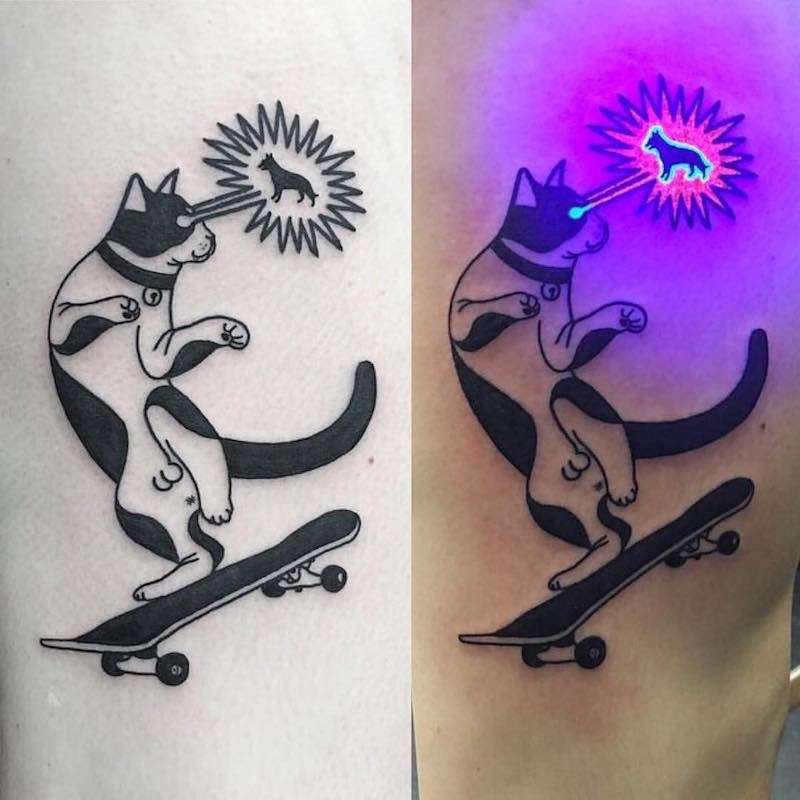 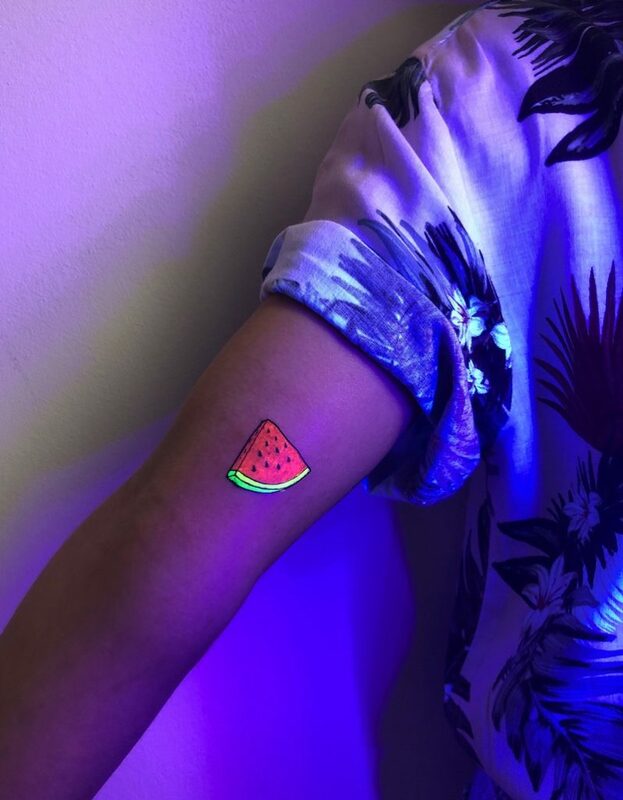 UV or black light tattoos are tattoos that when healed are invisible until viewed under a blacklight where they then glow to reveal the previously hidden design, this is either done in all UV ink making the whole tattoo invisible or the UV ink is incorporated into another design to bring elements of the tattoo alive. 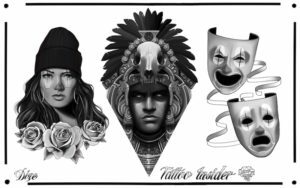 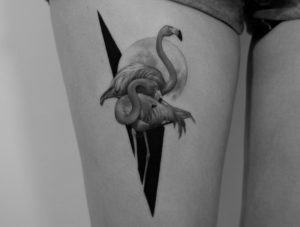 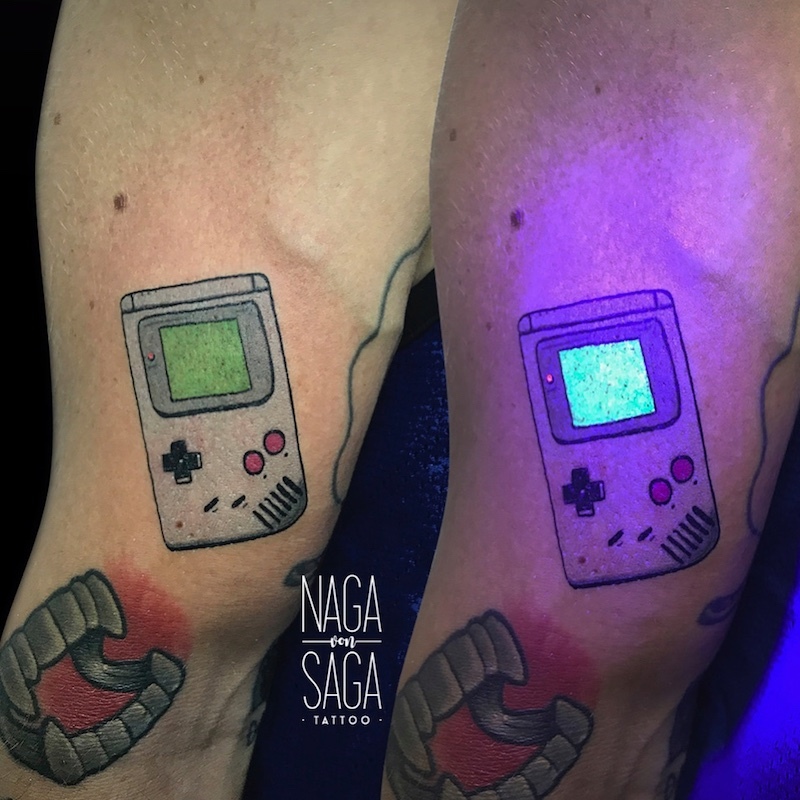 The short answer is yes they are safe but just like normal tattoo ink there are many factors that go into making sure it results in a safe, good looking and working UV tattoo. 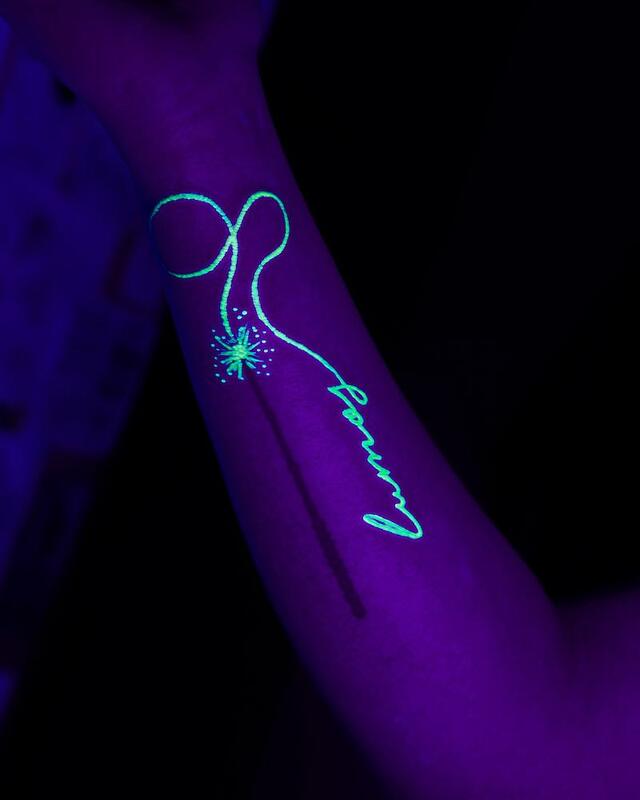 The biggest factor involved is going to the right artist with experience in UV tattoos. 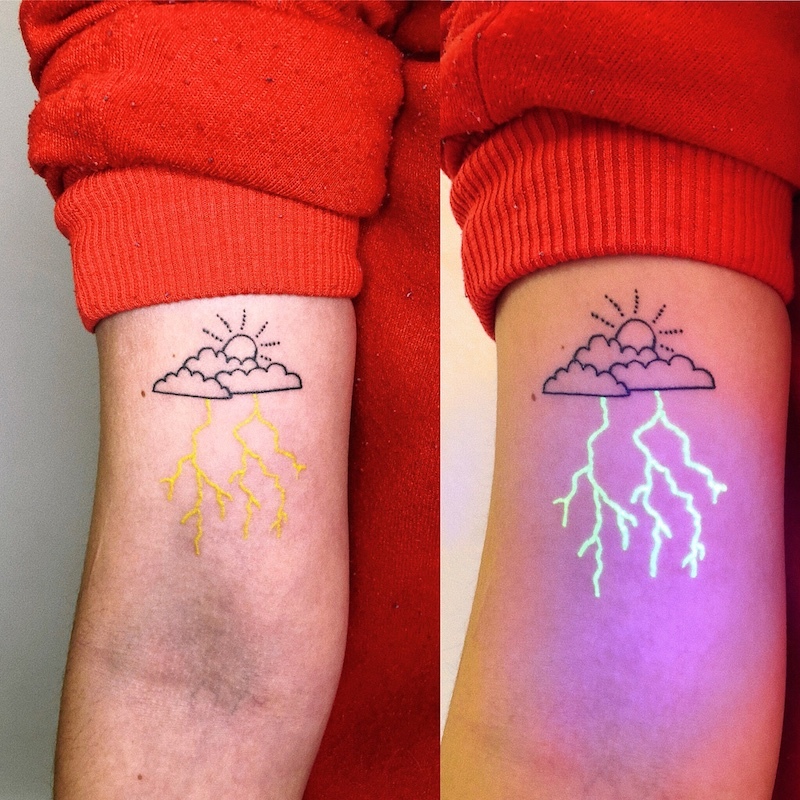 Many shops advertise ultraviolet tattoos but don’t always use the best and safest ink. 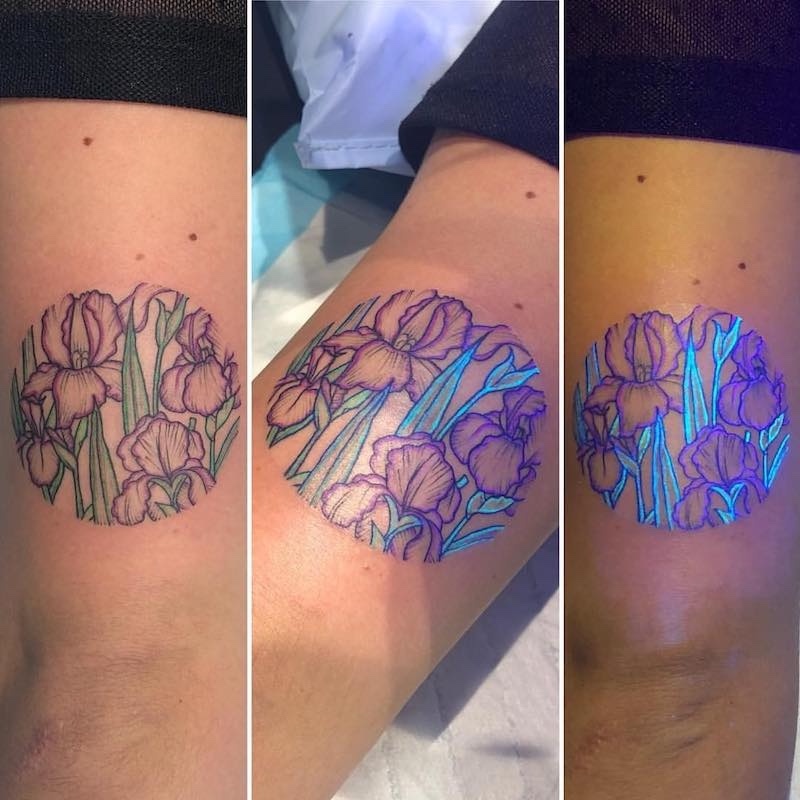 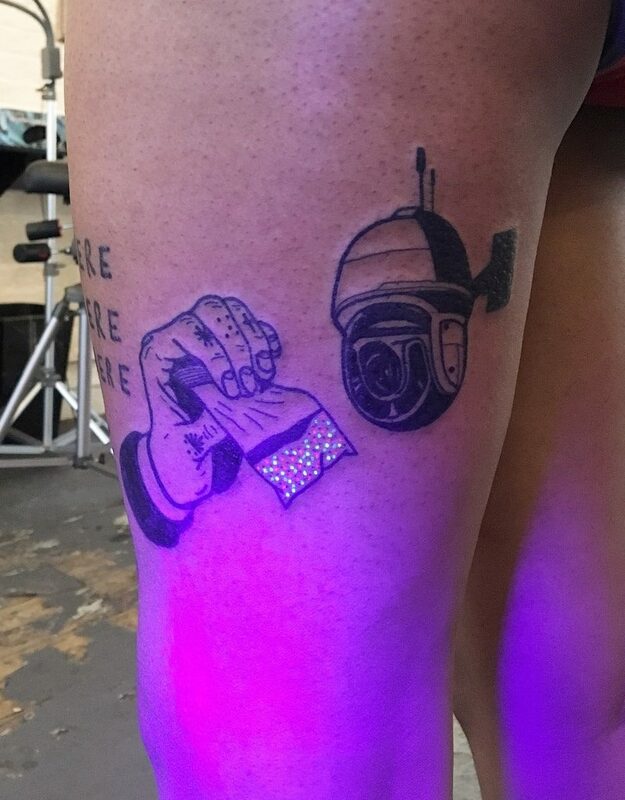 Because UV ink can be hard to get many artists don’t do them so it can be hard to find an artist in your area, making it necessary for some to travel to an experienced UV tattooer in order to ensure good results. 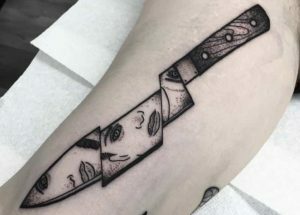 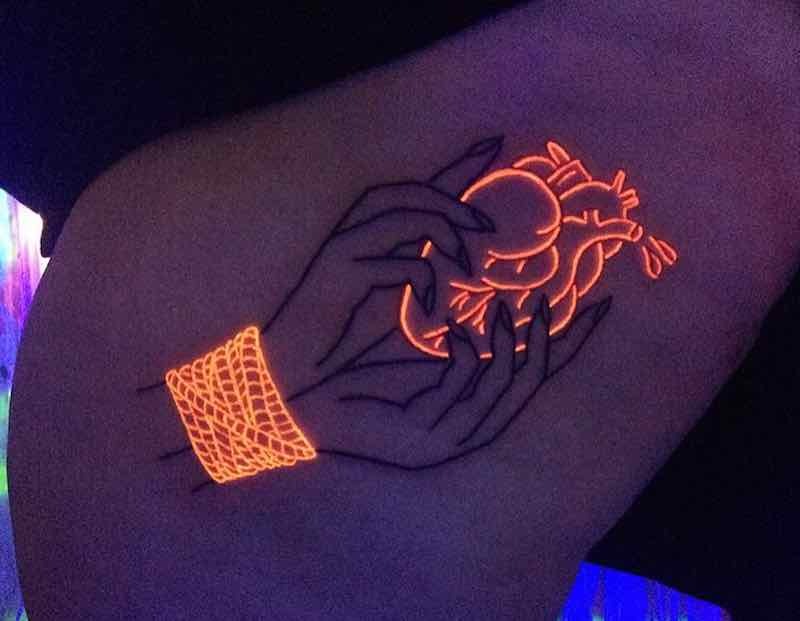 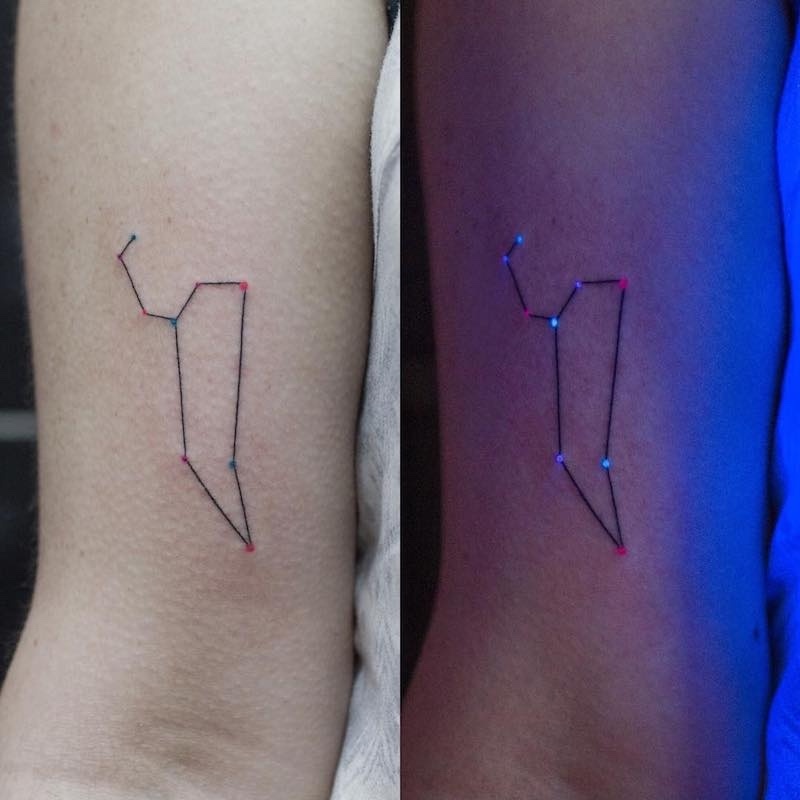 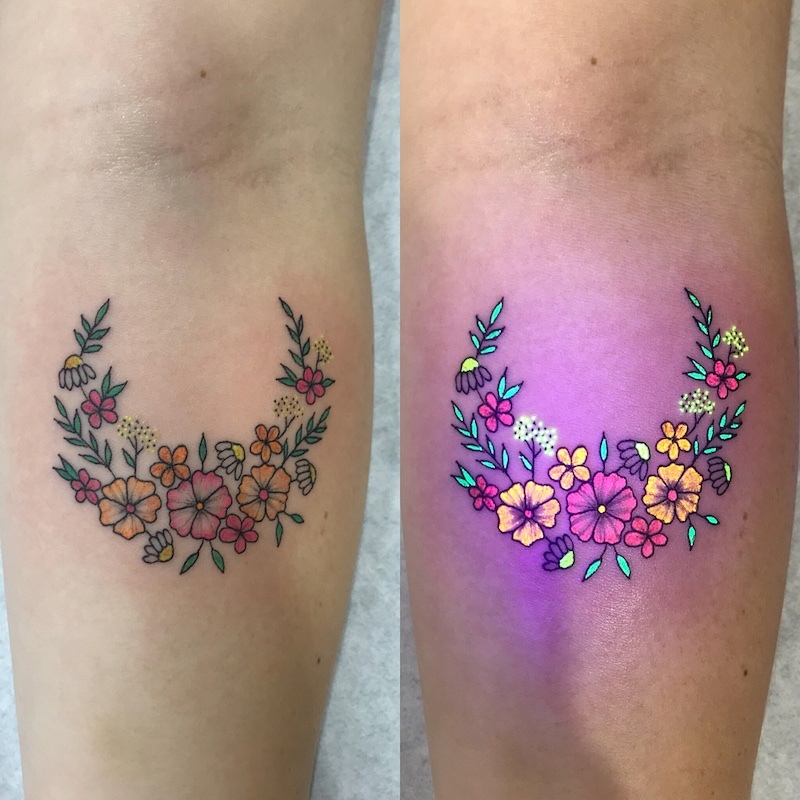 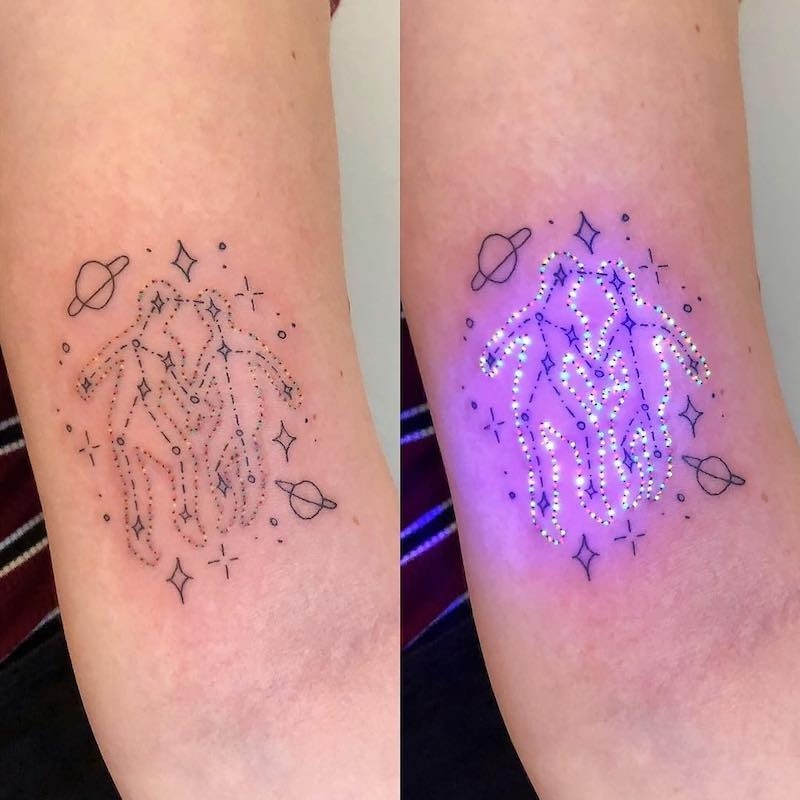 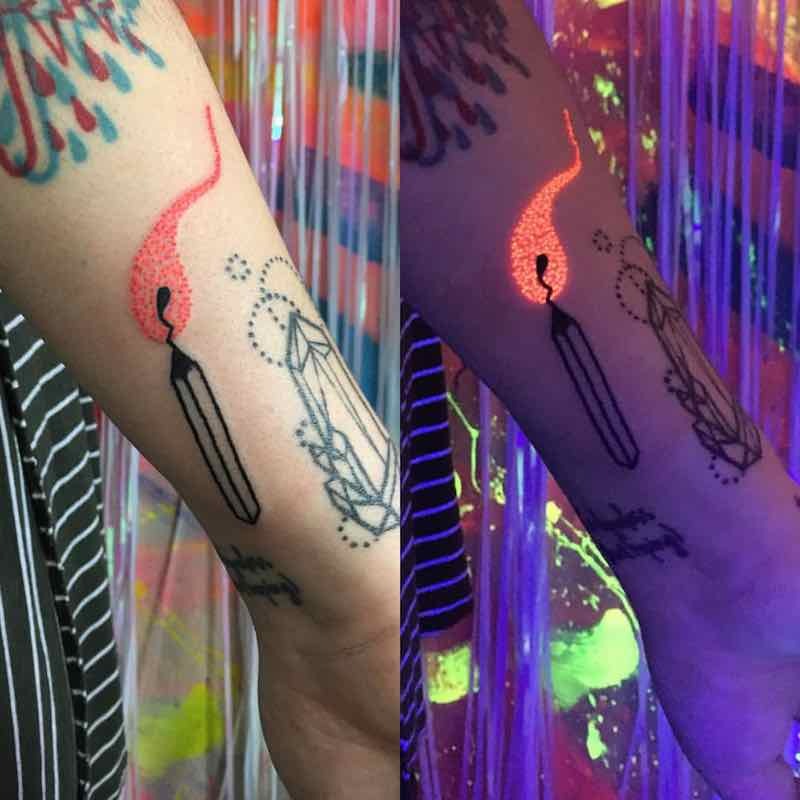 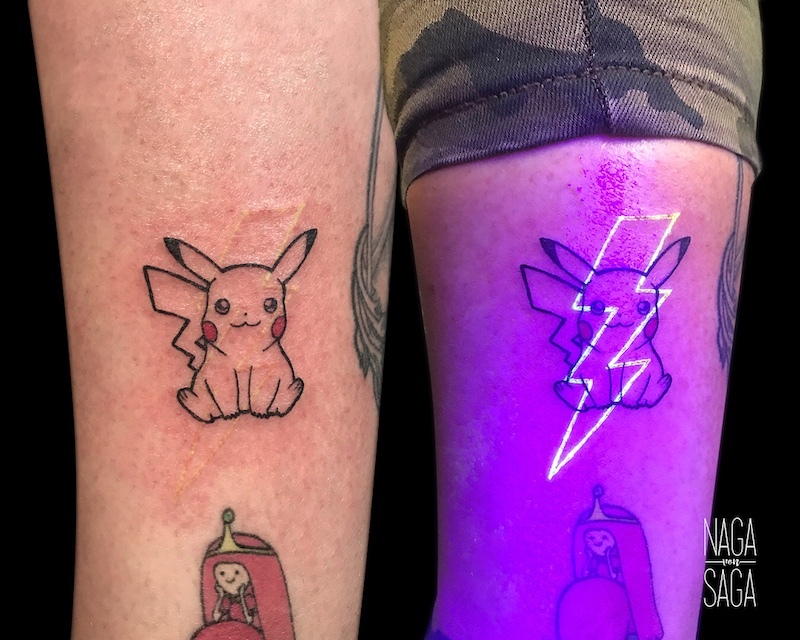 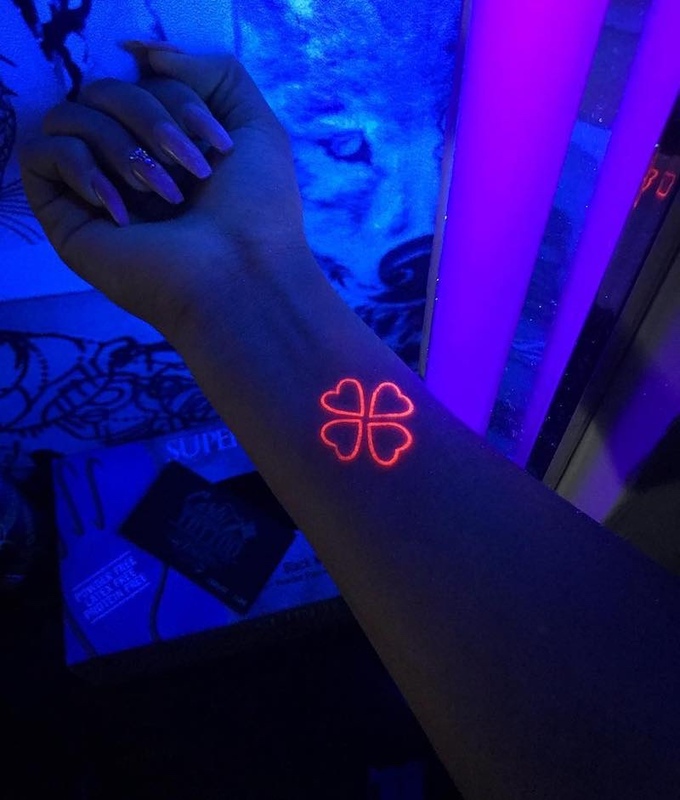 When a UV tattoo first gets done it may not show up very florescent as there is still blood over the tattoo and can take a while to heal before it’s fully fluorescent. 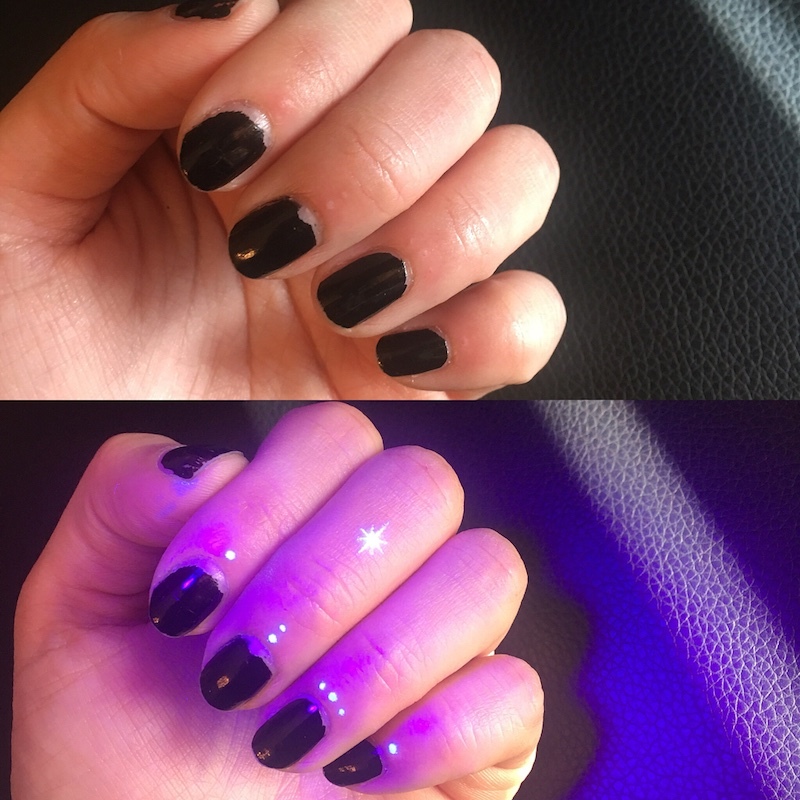 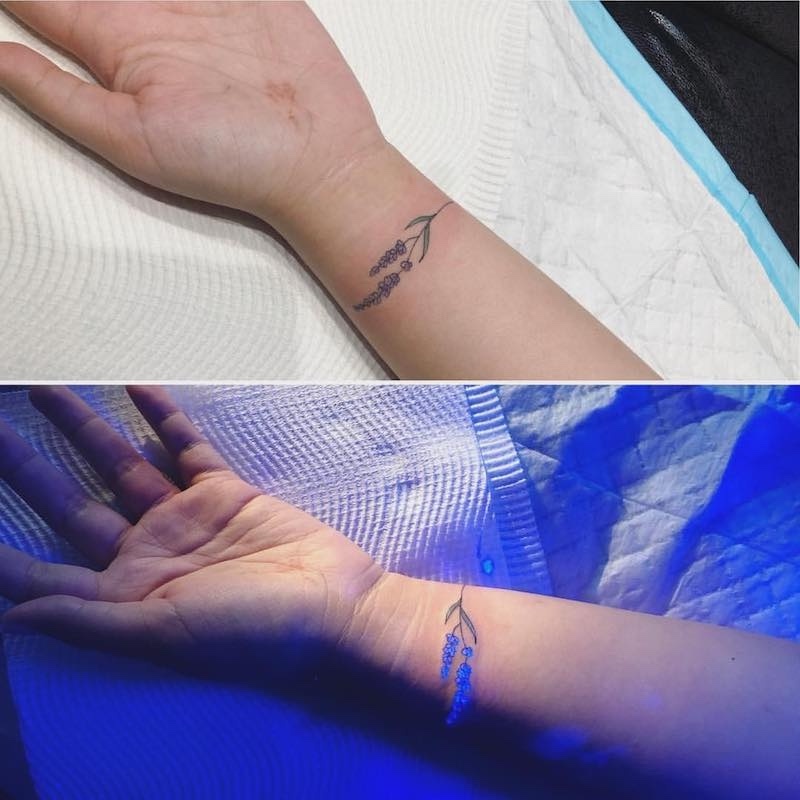 A freshly done UV tattoo will still be as visible as a regular ink tattoo, it takes a few weeks to months to fade away and can take up to a year to completely heal, at this time the tattoo is mostly invisible in normal light but can still be seen if looked at closely. 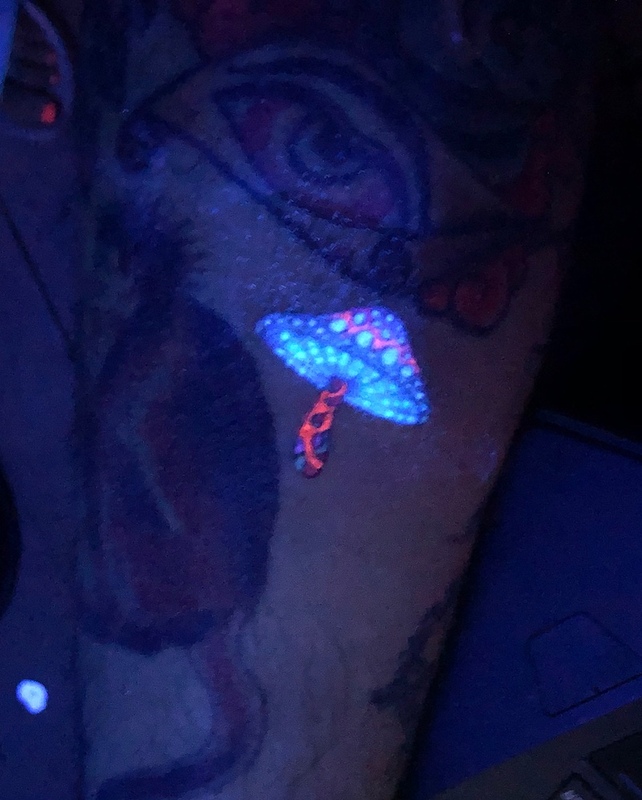 In order for the tattoo artist to actually see what’s going on while tattooing they will have a black light pointed at the area being tattooed, the process of getting a UV light tattoo is still as painful as getting any tattoo but its fascinating to watch and can take your mind off the pain. 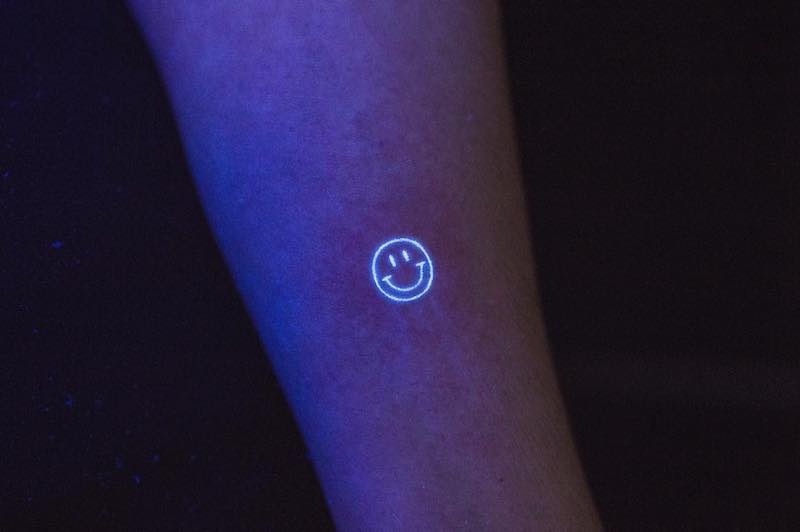 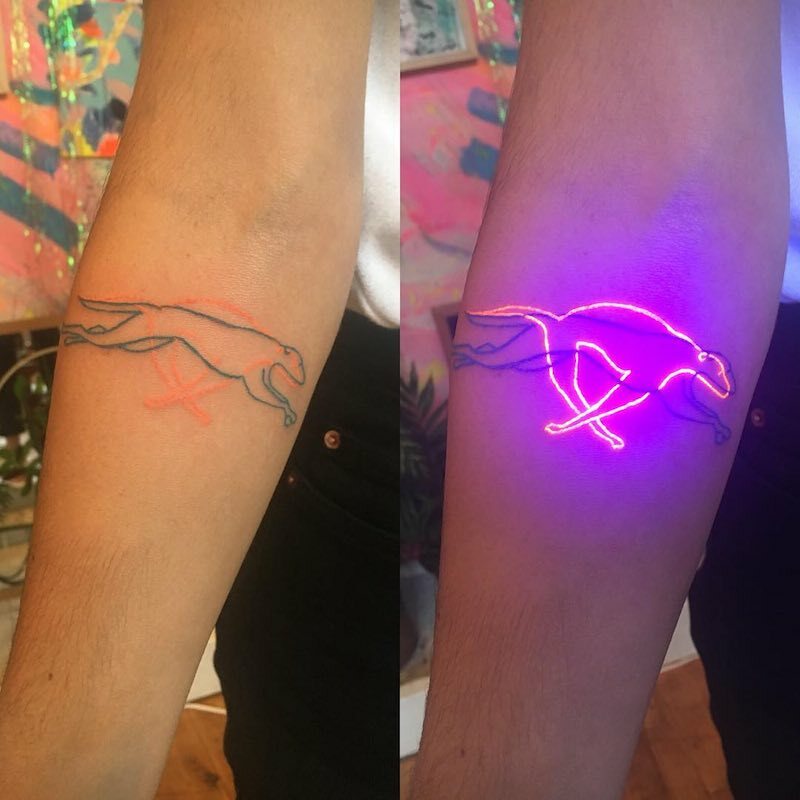 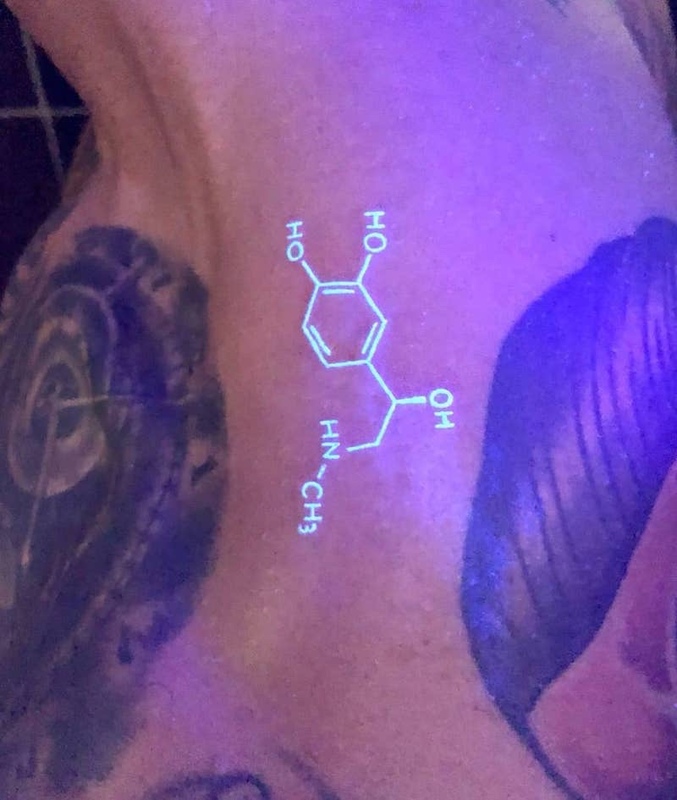 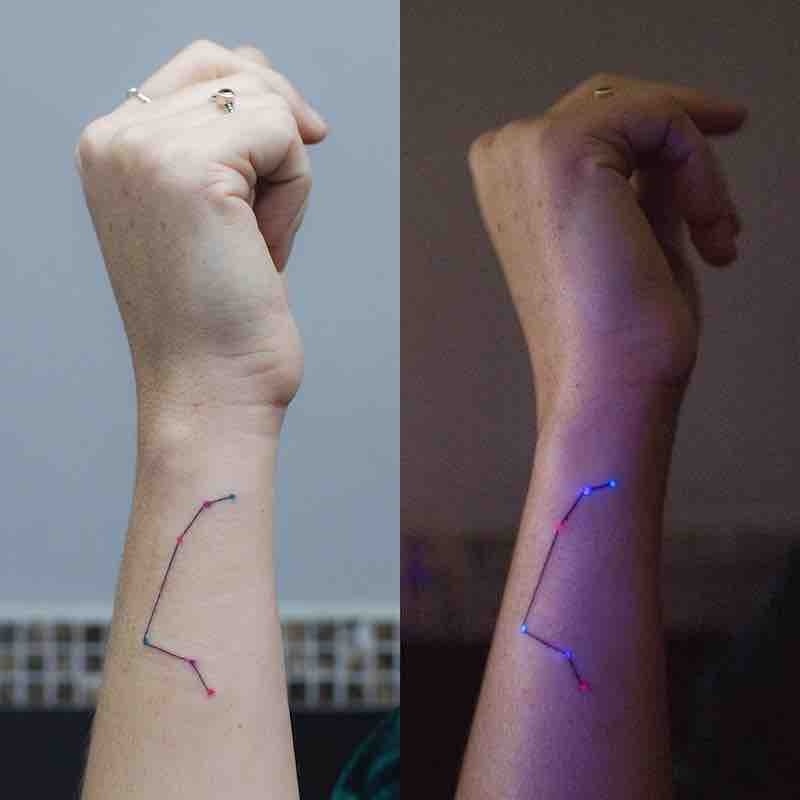 Where to get a UV tattoo? 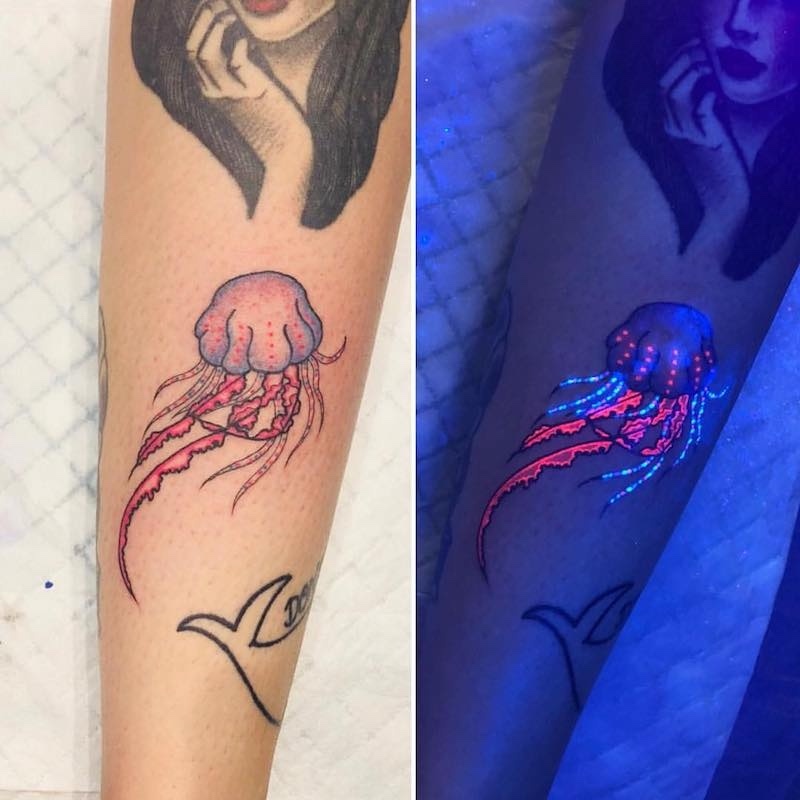 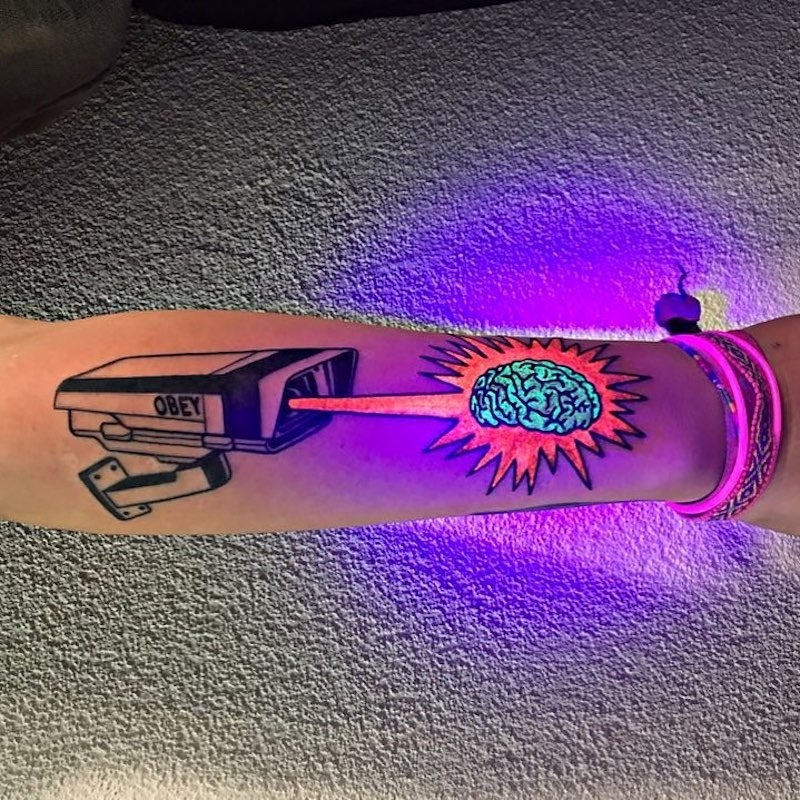 The key to getting a good quality UV light tattoo is going to the right artist or tattoo shop, with UV tattoos many shops either don’t do them at all or don’t do them very often and experience in UV is necessary, especially when it comes to having the right ink as there are very few brands that do high-quality ultraviolet ink. 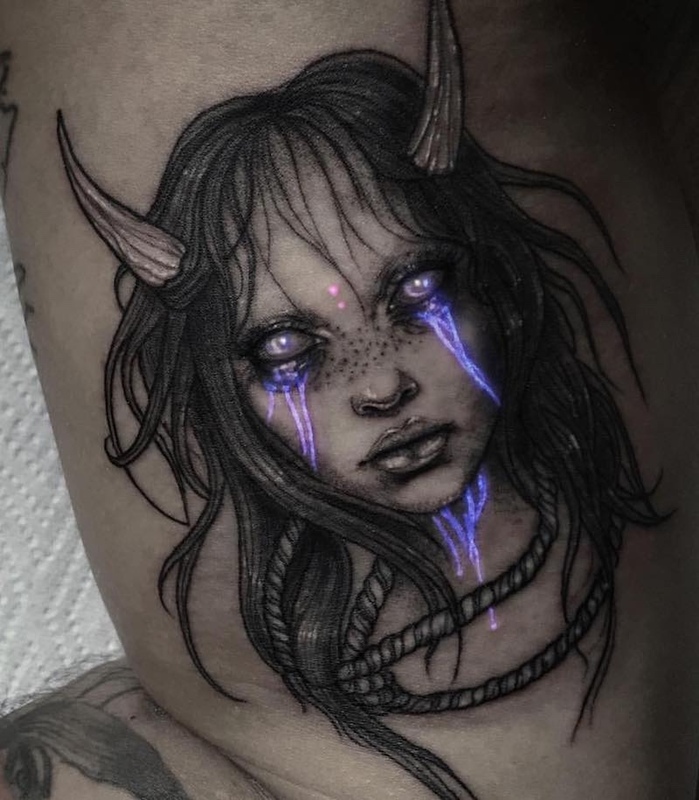 The best thing to do is to search local shops and artists, make sure their portfolios of regular ink tattoos are high quality then check if they have done UV tattoos in the past by checking their website, social media, emailing or even calling them directly. 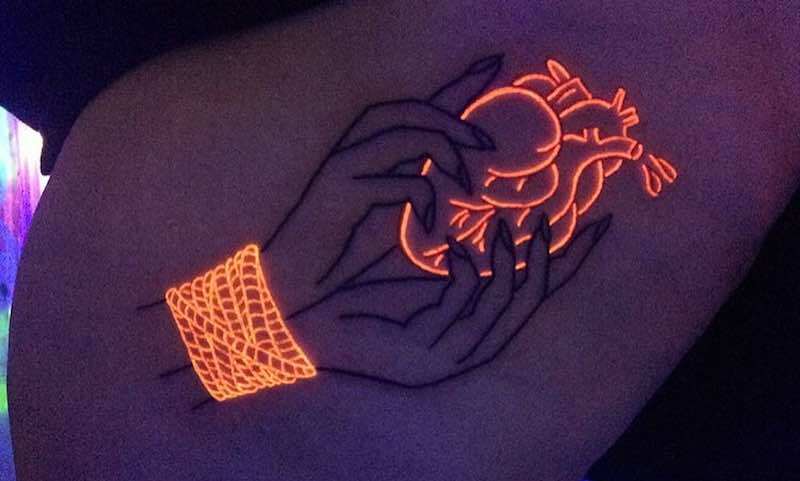 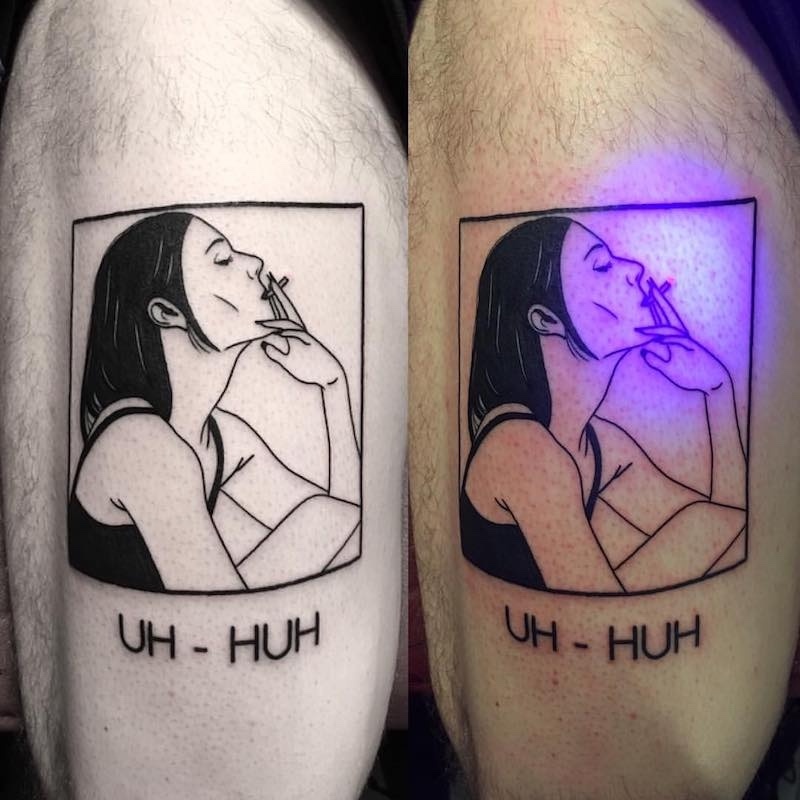 While this may take a long time, in the end its worth having the perfect UV tattoo for you. 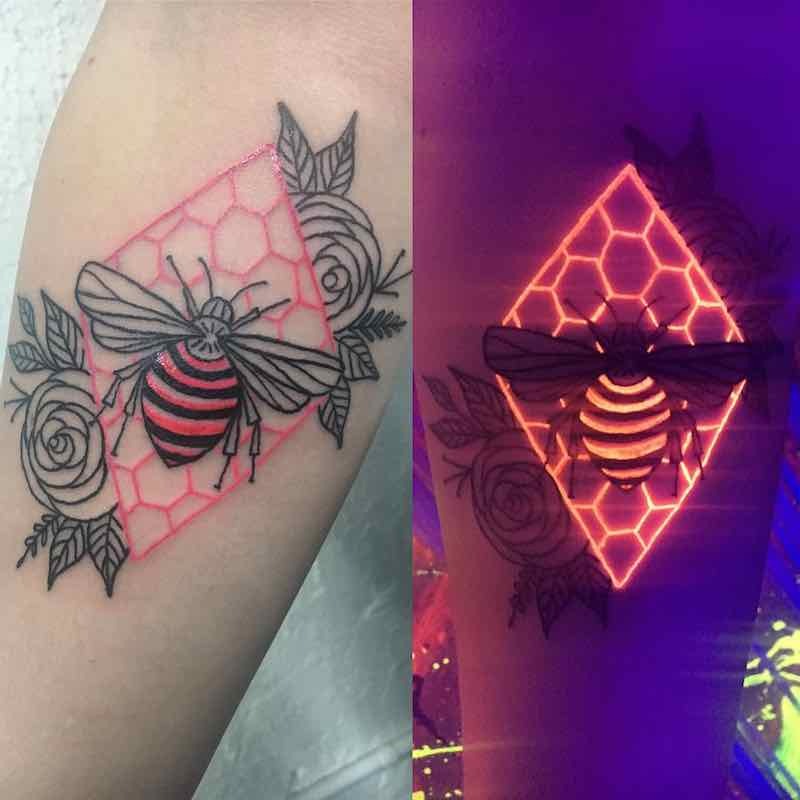 For anyone wanting to guarantee the best UV tattoo results then the perfect artist to go to is Kayla Newell, tattooing out of a private studio in Portland Oregon Kayla makes perfect use of the UV element, incorporating it into a design in a unique and creative way, this has changed peoples minds from first seeing UV tattoos as a gimmick to an out of the box way to tattoo. 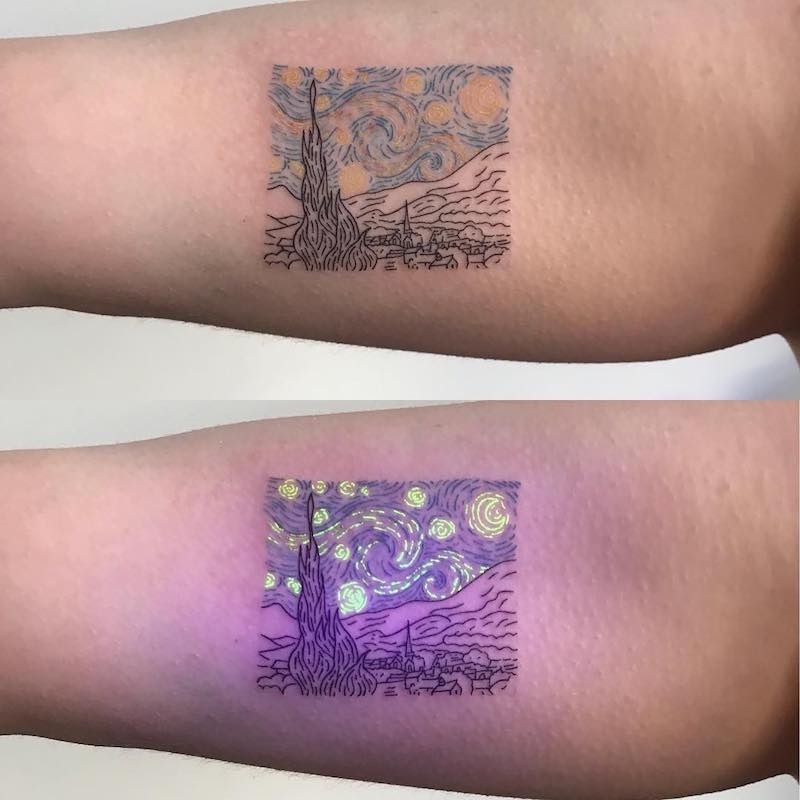 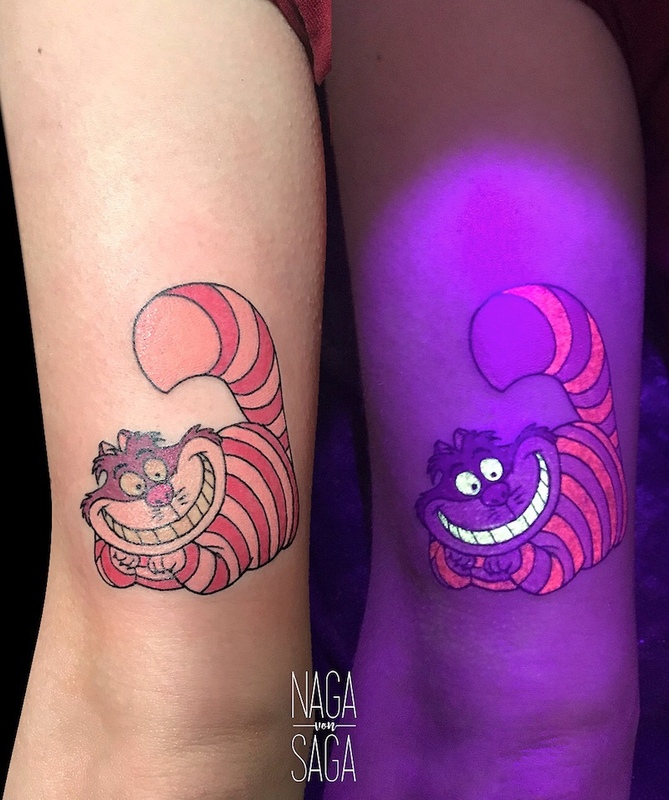 To get a good idea of how a UV tattoo can look and what can be done with ultraviolet ink here are some of the best work that’s been done in UV tattoos by great artists that have either experience or even specialize in black light tattoos.